When he was younger, James Costello wouldn’t correct people who thought he was Italian. It was an assumption made often, based on his olive skin and dark hair, and on the sound of his name. His grandmother, a survivor of the residential school system, saw his lack of distinguishing Ojibwe features as a form of protection. She told him he was lucky he didn’t “look Native,” and chose not to teach him the language or customs of her youth. “I grew up denying I was Aboriginal,” James says. 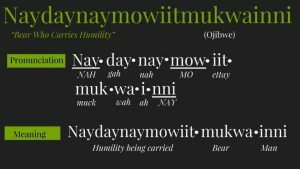 Receiving the spirit name Naydaynaymowiitmukwainni, which translates roughly to Bear Who Carries Humility, felt like a profound shift, he recalls. The change made him think about his personality and circumstances, and tied him to his history. 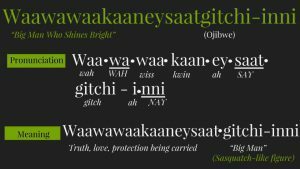 Later on, another name came to him: Waawawaakaaneysaatgitchi-inni, or Big Man Who Shines Bright. Spirit names can turn up in many ways; through conductors at ceremonies, or in the company of family, or individually. 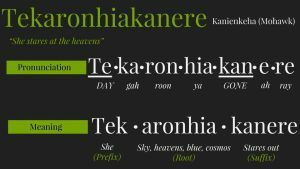 A second spirit name doesn’t displace the first, James explains; it adds rather than replaces. Now he works at Anishnawbe Health Toronto, where he coordinates traditional ceremonies for others to reconnect with their lost cultural practices. Naming ceremonies are among the most sought-after: James arranges two or three a day. 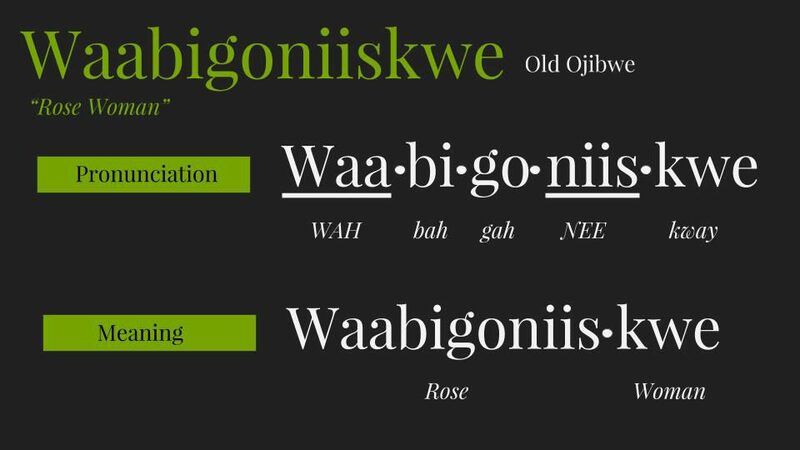 The erasure of Indigenous names and languages began in the 1870s. One of the tasks of “Indian agents,” the government-appointed bureaucrats who surveilled Indigenous communities in the late 19th century, was recording the names and identifying information of the people under their charge. Since assimilation was the government’s ultimate goal, these names were often written down incorrectly, either through neglect or by design. Agents sometimes substituted biblical names, or even their own. 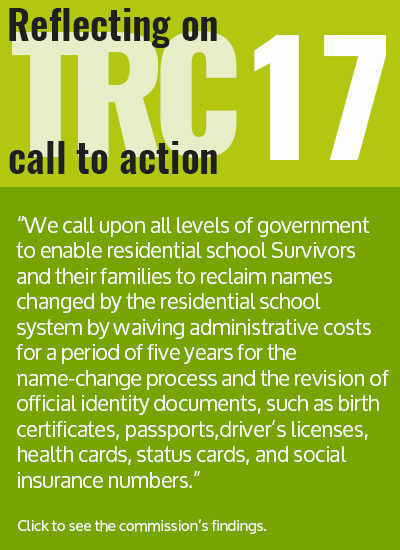 Later, many Indigenous children who retained traditional names were forbidden from speaking them in residential schools. Returning to lost traditions and ceremonies can be an important act of reclamation for Indigenous peoples, and names are often a first step. Names are at the forefront of our identities, shaping the way we move through the world. “Our names objectify our presence as participants in interpersonal transactions, not only for others, but for ourselves as well,” wrote sociologists Darrell W. Drury and John D. McCarthy. 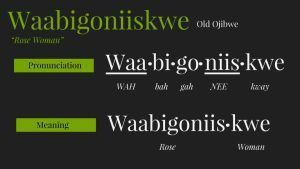 Depriving Indigenous peoples of their wide varieties of naming practices was only one part of the campaign of forced assimilation, but it was a profoundly damaging loss, both on a broad cultural level and a very individual one. “For us, there’s power in naming,” says Lee Maracle, a course instructor and Traditional Teacher at University of Toronto. “Our names are our property.” Naming customs vary across different communities, but in the Stó:lō tradition in which Lee was raised, names are unique: they belong to only one person at a time. To be forbidden to use your name, then, is to be ordered to disregard a fundamental part of who you are. Dawn Maracle didn’t grow up with a traditional name either. She’s not related to Lee, and not directly related to Candace—her last name is such a common one in Tyendinaga that her grandfather, Leonard Maracle, lived next door to another Leonard Maracle. But when Dawn started thinking about names, close to 15 years ago, she had the next generation in mind. She and her cousin had decided to trace their genealogy, and were struck by the fact that they didn’t come across a Mohawk name more recently than the 1880s. Everything since then had been anglicized. To finally see that name so many generations later “was such a poignantly powerful experience for me,” Dawn says. 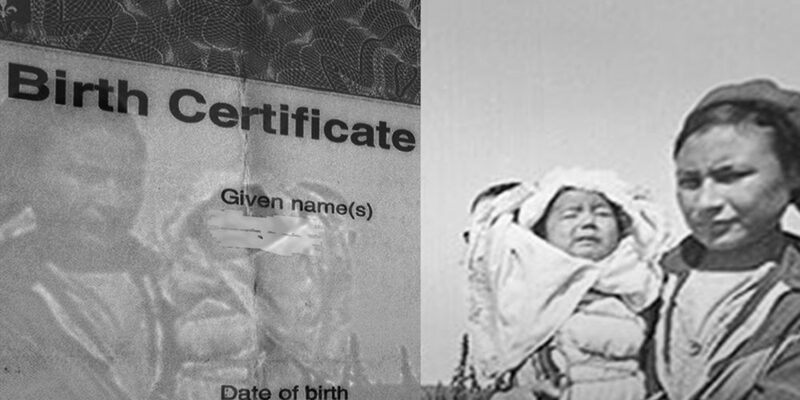 She decided then that if she ever had a child, she would make their Mohawk heritage a legal, traceable part of the baby’s life by including it in their name. “I want somebody seven generations down the road to be able to have a similar powerful experience and a connection,” she says. 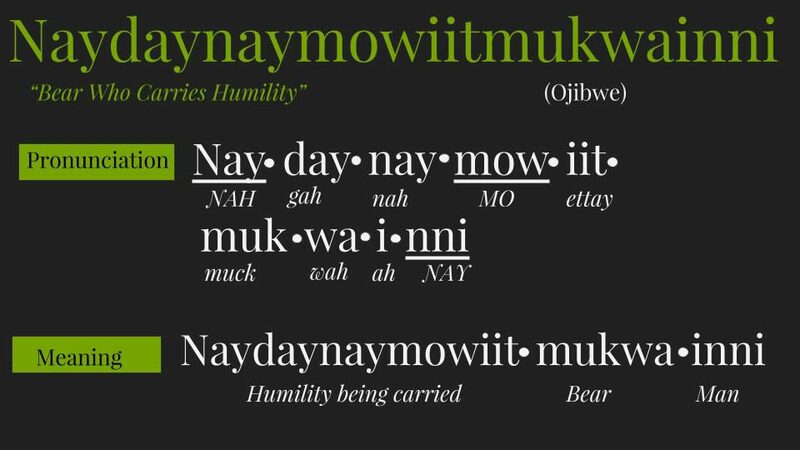 In Mohawk tradition, not unlike the Stó:lō custom Lee Maracle described, a finite number of names are considered to be “in the basket”: thousand-year-old names belong to only one clan, in one area. Once a name is chosen, it belongs to its owner for life; only after death is it put back in the basket for someone else to use. 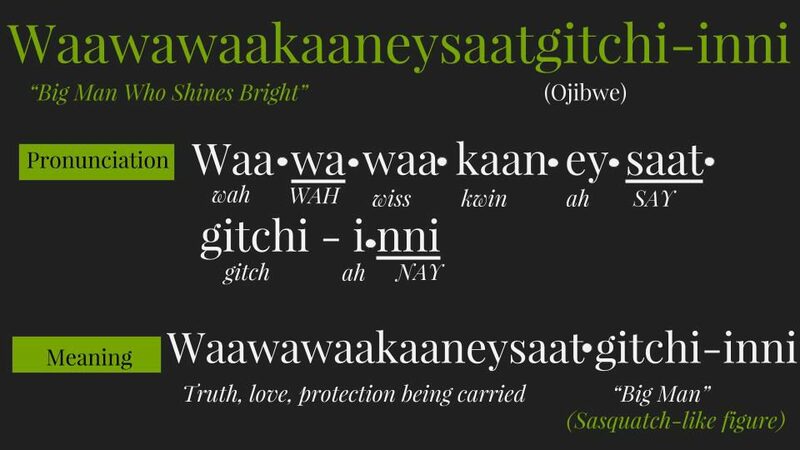 Traditional Mohawk names also carry comprehensive and intensely specific meanings, Dawn explained: one single name is a whole sentence in English. There’s a certain gravity that comes with having a unique name; understanding that your name belongs to you alone. When Dawn had a baby nine years ago, she spoke with renowned Akwesasne Mohawk midwife Katsi Cook, about her experience of pregnancy, and about her dreams. In one dream her father, who had died 15 years previously, came down from the sky and presented her with a body facing upwards; the next day the kicks started. The circumstances of her daughter’s birth – “facing the sky,” Dawn says – matched those of the dream, and other considerations, including her daughter’s father’s study of astronomy, led her to the right name. 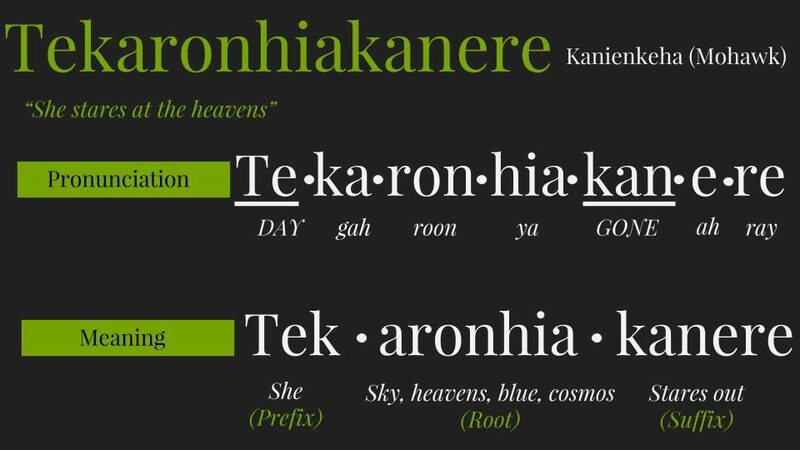 Tekaronhiakanere isn’t easily translated, but the closest interpretation is “She stares at the heavens.” It included different aspects of her personality, and of her family relationships. As a baby, she would often stop crying when Dawn took her over to the window, as if reassured by the view. Her name just “really fits,” Dawn says.